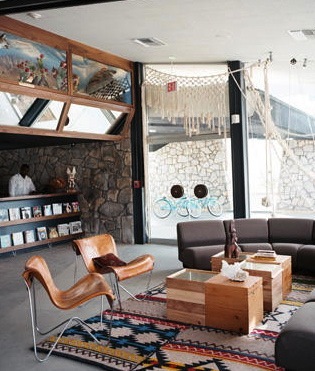 For many people, macramé conjures up images of owls and plant hangers amidst a tacky sea of out-dated decor. But there is so much more to the art of knotting than the owls and plant hangers of the sixties and seventies. Macramé dates back to the thirteenth century and its rich cultural history spans all continents. Knotting as fiber art has an important place in history in Arabian looms, Babylonian carvings, Italian lace, British sailboats, South American jewelry, and more. Like all art forms, macramé evolved in form and function to keep pace with modern times. With such global appeal and broad application, it is no wonder macramé has founds it place again in contemporary art jewelry, interior design and fashion. 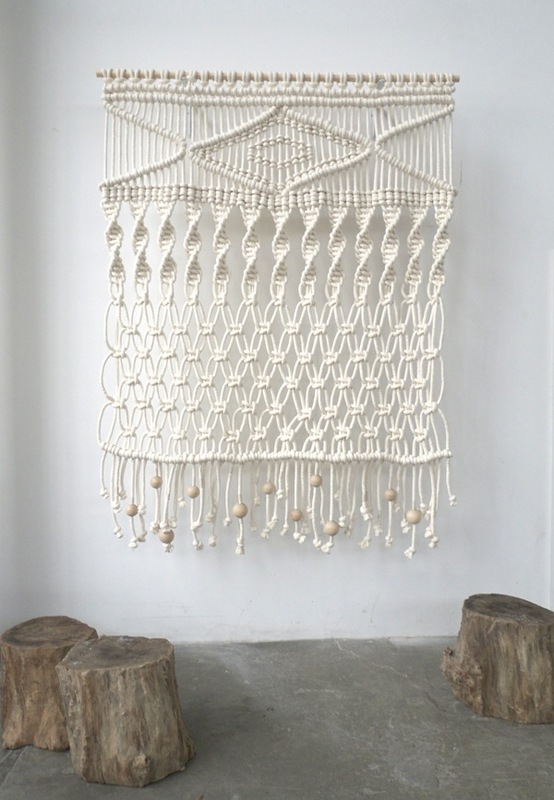 Fiber artist Sally England creates gorgeous macramé wall art from her studio in Michigan. 6′ x 6′. Cotton cord, wood beads. 2011. Wall hanging created for the 1st year MFA exhibition at Pacific Northwest College of Art. 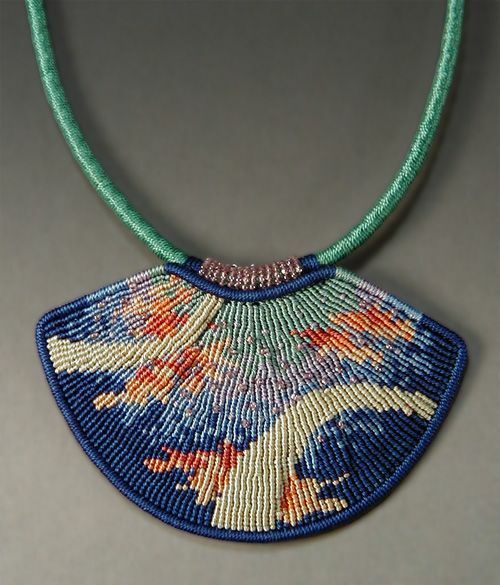 Joan Babcock uses the Cavandoli knotting technique to create beautiful, contemporary macramé jewelry from her studio in New Mexico. Joan has written numerous books on micro-macrame and offers many workshops for emerging fiber artists. London-based fashion designer Eleanor Amoroso uses macramé techniques to create innovative knits. Her exquisite work can be purchased on Not Just a Label. Rumi Sumaq’s very own Coco Paniora Salinas uses ancient knotting techniques in innovative ways to create one of a kind fiber art jewelry. 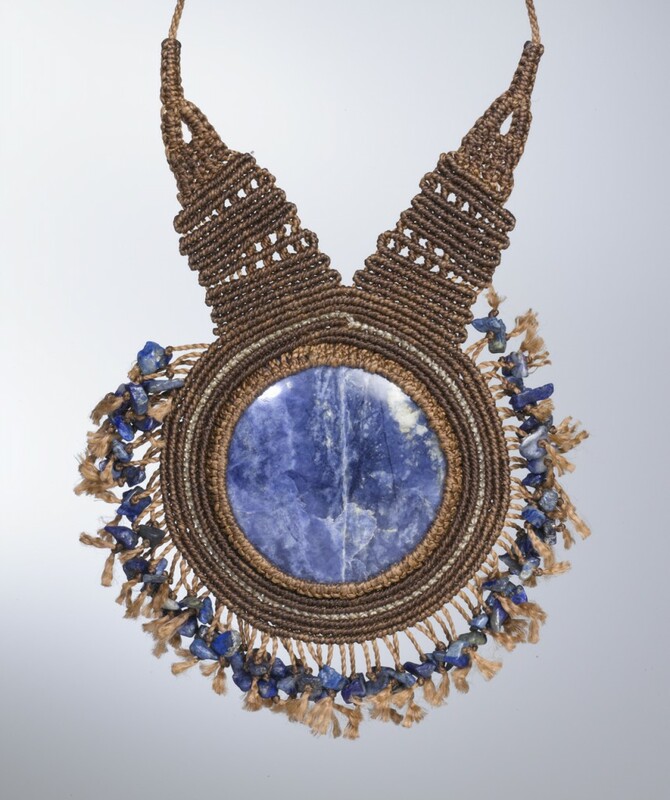 His modern macramé has been worn on tour by Grammy winner and style icon Esperanza Spalding. 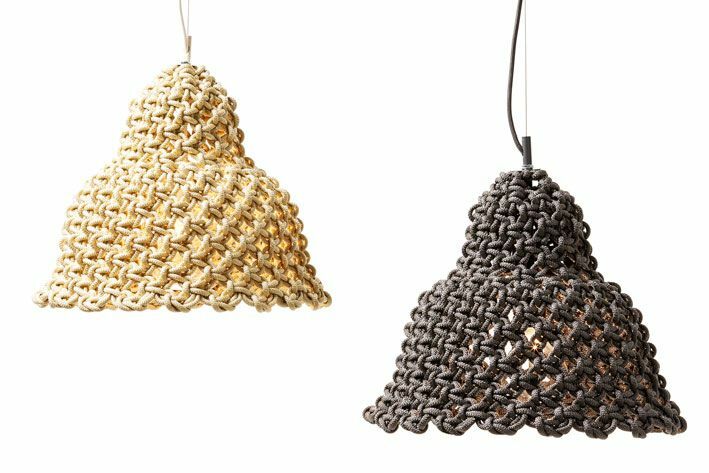 Australian designer Sarah Parkes of Smalltown uses more traditional macramé techniques to create stunning, modern lighting that would complement any home decor. Smalltown knotted industrial lamp is modern, unique and beautifully rustic. 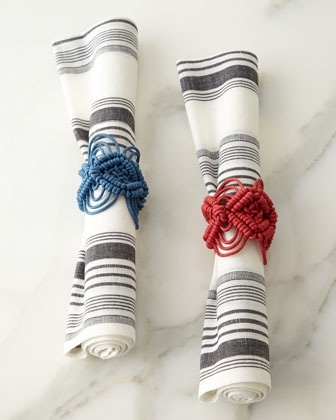 If you would like to add some macramé to your decor but aren’t ready to go big, these macramé napkin rings may be just the thing for you. Created by Dave and Capucine Gooding, the intriguing Juliska line of tableware and linens is sold at Neiman Marcus. What do you think of the modern macramé trend? Have you ever made jewelry or wall decorations with this knotting technique? 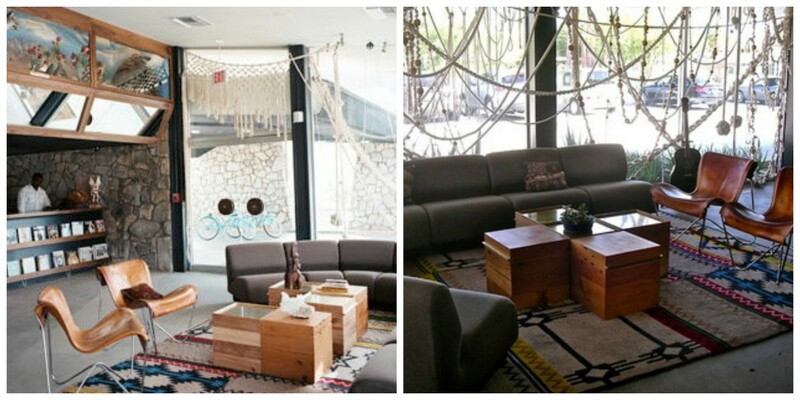 Would you incorporate contemporary macramé interpretations in your wardrobe or home decor? We know we are biased, but we sure hope so.